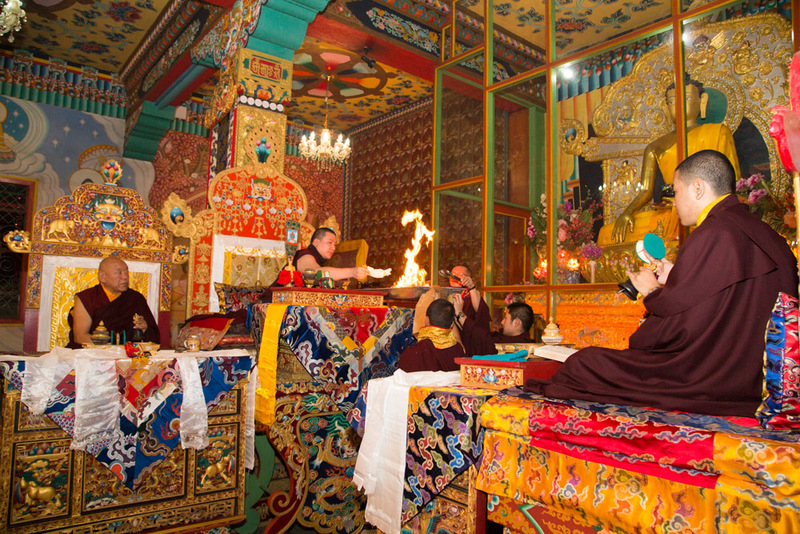 The Kagyu Monlam is the pre-eminent event of the year for Buddhists of the Kagyu school. It is a great gathering of the highest teachers, and many thousands of students take the time to travel from around India and often from other continents to attend. 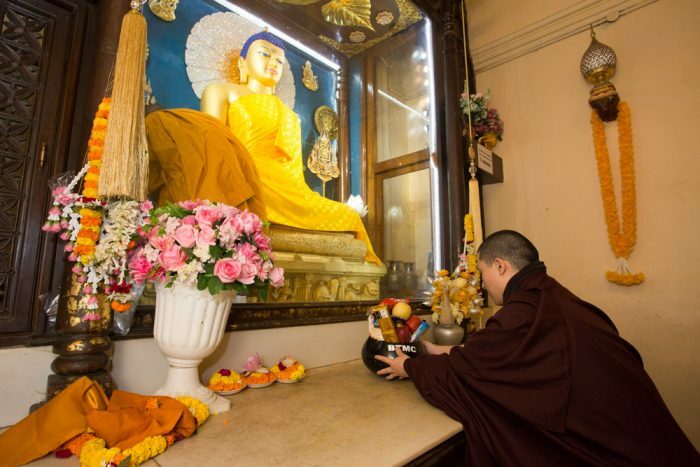 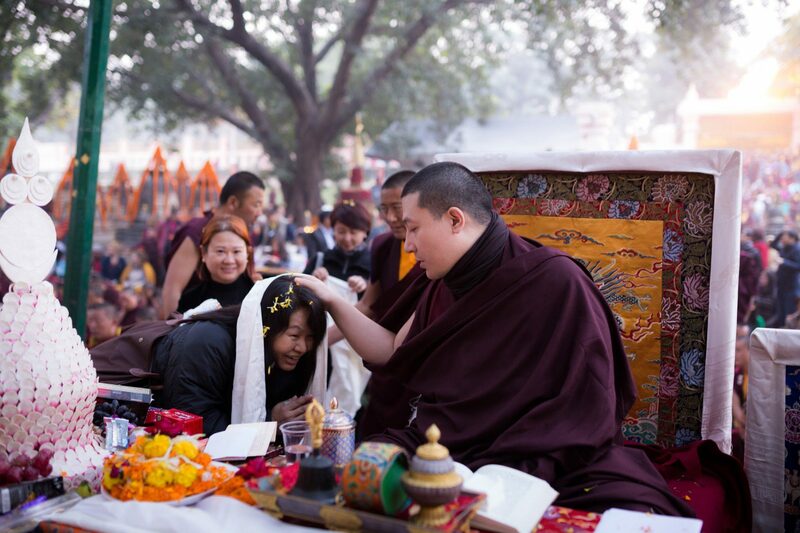 On arrival at Bodh Gaya, Thaye Dorje, His Holiness the 17th Gyalwa Karmapa, made offerings to the statue of the Buddha at the Mahabodhi Temple, which is said to mark the very spot where the historical Buddha realized enlightenment. 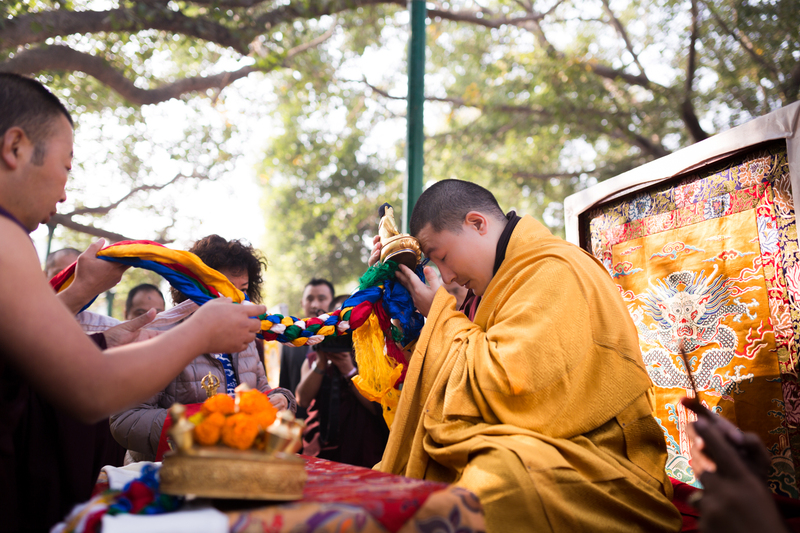 Karmapa gave new robes for the statue and offered symbolic precious objects. Karmapa granted audiences with other Buddhist teachers and blessed devotees. 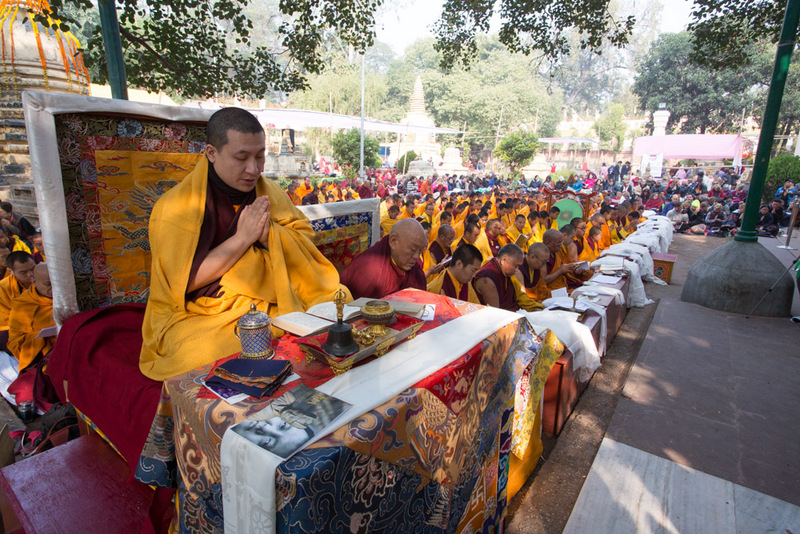 He also performed the Puja of Red Chenresig for the recently deceased. The puja of Red Chenresig was one of the first such rituals that Karmapa had learned from His Holiness Kunzig Shamar Rinpoche when he was young, and had practised ever since. 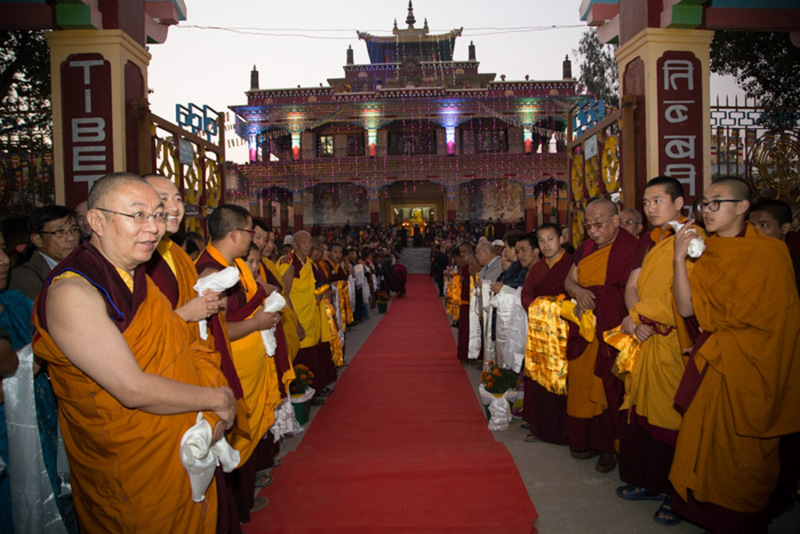 So many people attended the puja that eventually there was no space left inside the hall and crowds formed at the windows. Karmapa presided over the Kagyu Monlam 2014 and led the ceremonies. 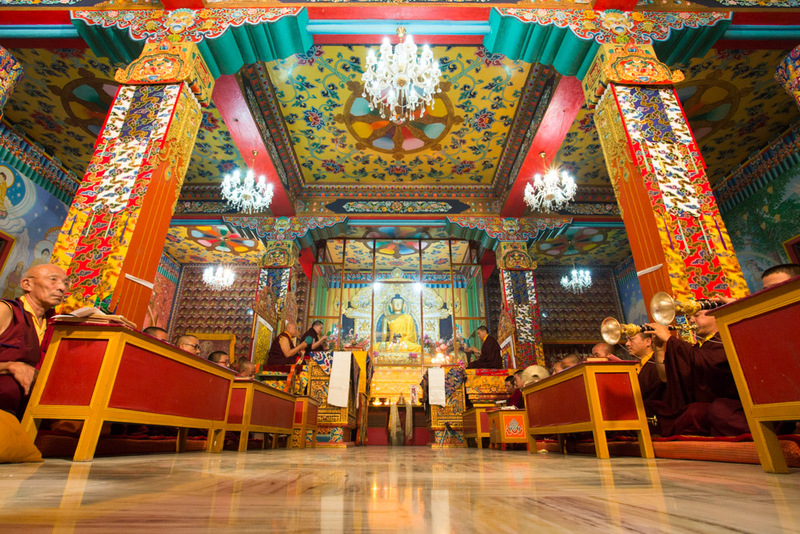 The focus of the Kagyu Monlam is on the very highest and most noble of aspirations and wishes. 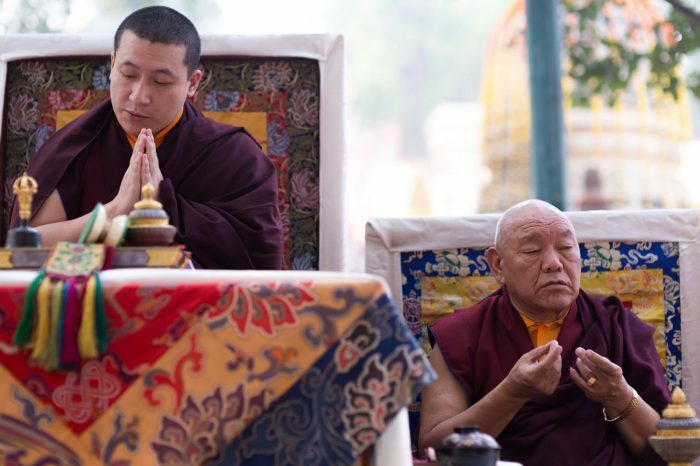 By repeating these wishes many times in the presence of the lineage masters, which this year included the wish for Shamar Rinpoche’s swift rebirth, they become very powerful and meaningful.